The children of Mubarak have returned. It would be foolish to believe that Mubarak spent 30 years of ruling without permeating every facet of Egyptian bureaucracy, media and economy with like minded people. Of course, the people are not devotees to the cult of Mubarak, but they are old guard Secular Nationalists from the post-colonial era of the 1950s in the Muslim world. These are known in Egypt as the ‘felool’. They have made their nation their idol, and view religion and politics to be separate things, albeit with a few cultural values left to placate the Muslim masses. Mubarak was from that era, and was a product of it. But after being forced to retire their former frontman Mubarak, due to popular protests, and grudgingly accepting elections that, despite their best efforts, saw the victory of Mohammed al Morsi and the Muslim Brotherhood (MB), the Secular Nationalists have risen again. But how did they return? Simple, they never left. The Army, the Interior ministry, the Judiciary and the media were all under safe ‘lock and key’ by thousands of Secular Nationalists. Therefore, the aftermath of the election victory by Morsi was easily controlled by them. They limited his power and ensured that the main ministries (energy, oil, justice and the interior) were so hard to govern, the services were brought to a virtual standstill. This was of course, part of a simple (and not surprising) plan to make the Egyptian people regret their choice. Energy deliveries went missing, mysterious armed gangs attacked supplies, felool managers neglected their work, workers were encouraged to go on strikes, or do work at a slow pace – and consequently the people experienced massive supply disruption. Throughout 2012 to 2013, the media and ‘underground’ (but curiously very well funded and public) ‘rebellion’ groups incited near constant, and in many cases violent, anti-Morsi demonstrations. These had the effect of causing near constant disruption to the Egyptian economy and daily life. The Police were strangely nowhere to be seen for most of the time. The Interior ministry (who controls the police), vacillated between being completely negligent, and on the odd occassion, brutal (though not as much as they could under Mubarak or SCAF). This had the effect drastically reducing security on the streets, causing a public perception of lawlessness, while at the same time allowing the occasional news story of police brutality to be seized upon to put Morsi in a bad light. The propaganda against him became so ridiculous, that if it were true, it would make Morsi the first man in history to create a police state, with no police! The public Police presence was nothing like their presence before Morsi; they allowed MB offices to be burnt, and even the presidential palace to be attacked. It got so bad, the MB had to create their own civilian protection force just to protect their offices. Of course, the Felool/Liberal media were just waiting to use this as an example of Morsi becoming ‘tyrannical’ and attempting to ‘dominate egypt’ with his own ‘militia’. 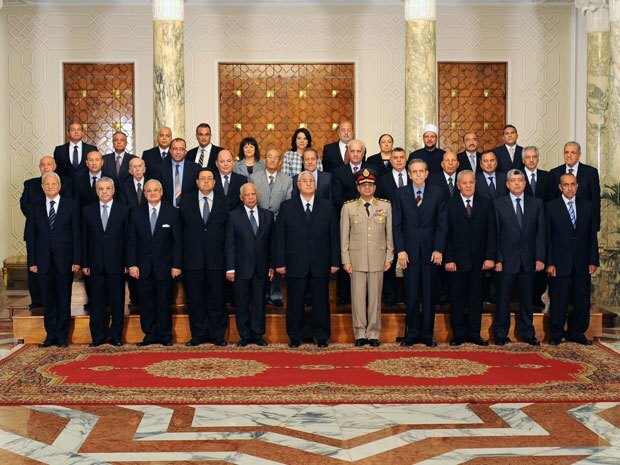 The only people Morsi could trust were the MB members (and some allies), and so the only way for him to make any improvement against the constant disruption to services by the Mubarak old guard, was to appoint MB members and allies to positions of power within the Egyptian civil service. Again, this was seized upon by the Mubarak old guard and the Liberals as more ‘proof’ that Morsi was trying to take more power for himself. Of course, they could criticise him for the rapidly declining services if he did nothing. The Judiciary consistantly challenged the MB and Islamic candidates, by disqualifying the top two, the MB election candidate Khairat al-Shater (a successful businessman, and relatively charismatic leader), and Hazem Abu Ismael, a strong Salafi and anti-american, but curiously they were happy to let through the uncharismatic, and politically inexperienced back-up MB candidate, Morsi, who they knew wouldn’t be as effective. The evidence for this can be seen when we consider that Shater was disqualified for falling foul of a law requiring an absence of being in jail 6 years prior to the election, but Morsi wasn’t – despite being sprung from jail in 2011, and hadn’t even finished his sentence!. The Judiciary then ordered the dissolution of the fairly-elected (and MB/Nour Party majority) People’s Assembly, and continued to oppose Morsi at every turn. The Mubarak-era judiciary even (to no surprise) acquited their fellow felool in the police accused of attacking protestors in the 2011 ‘revolution’, but Morsi got the blame by the victims families and the media for not prosecuting the accused. Again, to get any work done, he had to take enough powers for himself to do so – which of course, meant getting depicted as an aspiring dictator by the Felool/Liberal media for his troubles. His later attempts to fire 3000 members of the Judiciary were also quashed by Felool/Liberal media incited ‘outrage’. There was no winning for Morsi here. Of course, while the media attacks on Morsi were permitted, the judiciary didn’t tolerate any criticism of itself, and demanded the prosecution of some journalists and politicians for ‘insulting the judiciary’. Despite the many compromises Morsi did with the Army, USA, the Secularists and the Christians, any hint of laws sympathetic to Islam was outright rejected and resisted. It was as if the MB and Salafi majority were only allowed to contribute laws which the small Secular minority approves of. When the Secularists didn’t get their way (which was 100% of their way), they walked out of the drafting of the constitution (yes, all 11 of them – out of 100 ELECTED members). Secularists claim that people may say that having a constitution based upon Islam would not represent the 10% Christian minority. But curiously, none of the Secularists in France argue that the French constitution does not have any representation for the 10% Muslim minority there! Western Democracies do not allow their people to choose the ideology of the state, or even make major changes to the constitution – once Secular Liberalism gets into power, the people are only allowed to choose the leader. That, in of itself is not a problem, but Liberals demonstrate their hypocrisy when they accuse ‘Islamists’ for merely desiring the same. At least the ‘Islamists’ (i.e. the modern term for what was called a normal Muslim for the last 1,400 years) gave the people a choice by asking them to elect a committee to write the constitution – which is more than can be said for the current Secularist government of Egypt. The Egyptian people elected the Egyptian People’s Assembly, which was meant to be their representation in a democracy. But Secularists and Liberals don’t believe in real democracy, and only call for democracy when it suits their interests (i.e. Nationalism and/or Liberalism). And when Democracy fails to give them the result they want, they are perfectly happy to scrap it, use violence and repress others – as the Egyptian coup now incontrovertibly demonstrates – again. Of course, with regards to Egypt, there was no way Morsi or the MB could win – and this was of course, the point. Just like what the USA had done to popular Communist president Allende of Chile, Hamas of Gaza, and Prime Minister Mossadeq of Iran (who like Morsi, mistakenly believed the U.S. was a quiet supporter to his cause, all the way up until the day the CIA executed the coup!). It is a well known policy of Western Liberal regimes to bring a country that dares to elect leaders it disapproves of, economically and politically to its knees, then overthrow them – Hamas of course is still a work in progress. The MB spokesman Gehad mentioned some of these problems that were faced by the MB in Egyptian politics here. The Liberals (or the second-wave post-colonial Secularists, as I call them), only represent a very small minority in Egypt, reacted fanatically against even the slightest possibility of a return of Islam to holistic implementation. They came to the natural conclusion that they were ideologically closer to the Mubarak-era Secular Nationalist felool, then they were to Muslims who desire a regime that represents the requirements of their belief. And they acted accordingly, joining forces and media resources, to attack Morsi and the MB whenever possible, accusing him of being ‘fascist’ and desiring a totalitarian state like Iran – which is ironic coming from Egyptian secularists and liberals, considering Iran has a better democratic system than Egypt ever had!. Of course, the Army were still visible in the public eye until winter 2012, having managed to hold full control over their economic holdings in Egypt (estimated by some to be 40% of the Egyptian economy), and they retained control over all foreign policy matters, and the ARMY reformed SCAF into the National Defence Council (NDC), of which being in a deliberate military majority membership, Morsi was not the controller of. They then used their resources to execute a simple plan. The head Tantawi had grown unpopular and outlived his usefulness, so they arranged with Morsi to retire him, and put in place a man that the army had groomed for the position, General Abdel-Fateh Sisi, known for his infamous implementation of ‘virginity tests’ on female protestors during SCAF rule. General Sisi had from day one tried to get Morsi’s trust, by claiming he was a ‘pious Muslim’, whose wife ‘wears a face veil’. Morsi was easily fooled and lured into a false sense of security, but whether he was fooled or not would make no different to the SCAF plan. Tantawi would be retired, and the Army would issue a statement that it was receding from politics – yet absolutely nothing would change, except that the Egyptian people (and Morsi) would naively believe that full power now resided in Morsi’s hands. The fact that the Army always had full control over Egypt was clear when Morsi attempted to opening up diplomatic relations with Iran with the possibility of forging a mutual alliance, and when he promised to help the Muslims of gaza by opening up the Rafah border, but was clearly prevented from achieving anything except goodwill gestures. No sooner had he met with Hamas leaders in summer 2012 to discuss easing the Israeli embargo, then a mysterious attack on Egyptian soldiers occurred in the Sinai, leading the Army to shut down tunnels to Gaza, and the Rafah crossing completely, and launch the heaviest ground assaults against ‘militants in the sinai’ than even under Mubarak. In 2013, when Morsi tried again to open the border crossing, the Egyptian judiciary issued a court order for Morsi to enforce the Egyptian (Mubarak-era) agreement with Israel, and shut down ALL tunnels to Gaza. If Morsi tried to reject the judiciary’s decision, yes you guessed it, he would be accused of believing himself ‘above the law of the land’, by the Secular and Liberal media. It is no surprise now that the Egyptian media is vilifying Hamas currently, using a series of ridiculous stories, conveniently provided by the Egyptian military. My personal favourite was how they explained the fuel shortages in Egypt under Morsi, by claiming he allegedly was supplying petrol to Gaza – despite the fact that petrol shortages in Gaza were worse than they ever had been after the Army had shut the tunnels! Of course, this false propaganda stories are designed to make the common Egyptian people accept the harsher policy of the current Egyptian regime against the people of Gaza. Surely, the U.S.A has got its money worth from the $1.5 billion it spends on the Egyptian army, a fact conveniently forgotten by the Egyptian people. Naturally Israel is overjoyed at the turn of events, because Mubarak never dared to appear too harsh on the Gazans, for fear of the Egyptian sentiment – but Morsi has proved the perfect scapegoat for the Egyptian military turn up the pressure on Hamas, and deliver even better value for money on the U.S. salary it receives. No wonder the U.S. does not want to call the coup, a coup! All this the military could do, while at the same time blaming a powerless Morsi for it, since he is the one in the spotlight. The trap was set for Morsi and the MB, and now all that needed to happen was the coup itself. The political analyst, Yazid Sayigh impressively seemed to predict a coup as far back as December 2012, article here. And so the coup did happen, and to demonstrate Egypt’s ‘liberation’ from the ‘tyranny’ of Morsi, they immediately shutdown all sympathetic TV stations to the MB, claiming they were ‘inciting violence’ (what? including Al Jazeera?!). All the while, the Liberal and Felool controlled TV stations were allowed to broadcast, with them calling for ‘cleansing the streets’ of the Islamists. Almost ‘magically’, the fuel shortage problem was resolved overnight, and the police (who had been mostly absent during Morsi’s rule) all reappeared – many were even seen dancing with the anti-morsi protesters in full uniform! Despite leaders of the MB (that could be arrested) being rounded up by the military and police, and despite the Mubarak-era demands by the secularists and Secular Liberals to ban all political parties based upon religion from taking part in future elections (yes, Liberals – Liberalism is only tolerant of itself), General ‘Virginity Test’ Sisi has made the hilariously strange public ‘call’ to invite the MB to be part of an ‘inclusive’ new political process. Of course, what he means is to telling the counter-coup protestors to stop their demonstrations and acquiesce to the new regime – while of course appearing as a ‘reasonable man’ to the wider public. Before the coup, Mubarak himself called for Morsi to step down. But after the coup happened, support came from strange, yet telling places. Saudi Arabia and UAE supported it, Israel’s Benyamin Netanyahu supported it, the USA were silent over it (but have made veiled comments of support), the EU was relatively permissive of the Egyptian military, and Bashar ul Assad (along with his fellow Secularists in Egypt and worldwide) expressed joy over it, claiming this was a defeat of ‘political Islam’, despite the fact that Morsi’s government didn’t implement a single Islamic law (Assad strangely forgets that Iran, who backs Syria, are also political ‘Islamists’ according to the West). But the MB refused to go down without protest, and immediately began peaceful demonstrations and protests to demand the return of Morsi, and the rule of law, and due process. However, they have been met with violent crackdowns, shootings, and masked assailants and Bashar/Ghaddafi-esque massacres of civilians on the streets. Shockingly, this brutal treatment of the MB dissidents is occurring with both the Liberals and the Secularists cheerfully waving it on as ‘necessary in the national/Liberal interest’, or claiming that the Army and Police acted in ‘self-defence’. Of course, what goes forgotten by most of the media and Egyptian public, is that the Army and Police have been using this level of violence before Morsi came to power, under the SCAF interim rule. And with public support, they are now free to do what they wanted to do for a long time, effectively wipe out the Islamists under the guise of fighting ‘terrorism’. At the moment, only few Egyptians that were against Morsi have woken up to the fact that the regime has returned to being more predisposed to use violence, arbitrary arrest, and summary sentences now, than under Morsi – yet the Liberals and felool ironically accuse Morsi and the MB of being the ‘fascists’. Now the MB are deposed, ‘quelle surprise’, they are pushing for Mubarak to be relieved of his sentence due to compassion for his health (aww, poor thing…). The children of Mubarak have indeed returned back in the open to control Egypt again under their Secularist regime, and now the Egyptians will suffer the oh so familiar taste of its rancid fruit. But before we mistakenly believe that the Egyptian people have all turned Secularist, this is not the case. Muslim Egyptians love Islam, and want Islamic law, but they do not know what it looks like. No one has done a concerted campaign to educate the masses on the political solutions that Islam offers. Nor have they explained how the enlightened system of Caliphate actually works, and how it brings about open intellectual inquiry, justice, progress and unity. The Egyptian people have only ever been taught that Islam is Tawheed (monotheism) and ibadaah (ritual spiritual worships). It is the failure of Muslim dawah carriers (proselytisers) to undo this lingering legacy from the colonial-era’s secularisation of the Muslim mind, that causes this obstacle for the return of the comprehensive way of life that is Islam. Consequently, the ignorance of the Egyptians is such, that even the most pious Egyptians may be amongst the crowd of pro-General Sisi supporters, believing in all innocence, that the MB are a non-Islamic party! This is not to mention the media campaign against the MB, which has generated a terrible fanaticism of hatred against them. Most people outside Egypt wouldn’t understand this, since they are reading the news reports with a general emotional detachment that comes with being not being involved with the situation – outside observers see more of the facts than many Egyptians who are emotionally compromised, or personally involved. But this doesn’t mean that the people outside Egypt do not understand what is happening, or are unable to make a clear judgement – just look at the U.S. State Department, and the UK’s Foreign Office who’ve been doing this successfully for decades. The Egyptian people have seen a general degradation of their living standards since well before Mubarak, and saw it fall sharply during the SCAF rule, and even more sharply during Morsi’s rule. They’ve been continuously fed stories by the Liberal and Secularist media (who Morsi DIDN’T suppress under his rule) undermining him and depicting him as a fascist, all the while preparing the Egyptian public for the return of fascism. For what else is fascism but the ideology of the Nation? Fascists are nothing but Secular Nationalists, who make the nation the source of morality under the euphemism, the ‘National Interest’, which serves as the ultimate criteria of the halal (right) and haram (wrong). Fascists tend to focus on a particular enemy in their society that should be ‘cleansed’ from their midst. Does not the alarming Secularist and Liberal discourses on what should be done to ‘Islamists’ not fit that description? Morsi, far from calling people to attack Christians during his rule, actually called for their defence. Under Morsi’s tenure, a Muslim cleric was arrested and prosecuted for burning a Bible and insulting the Christian community (something that never happened under Mubarak’s rule!). Yet, the MB are vilified. Of course, Morsi didn’t have control over some of the pro-MB, or pro-salafi youth which engaged in violent clashes with other groups, but then again neither did anyone else control their youth. In fact, it is probably because of the MB not being fascist, that they were unable to discipline and control some of their supporters amongst the youth. However, the fact remains, that instead of the 2012 ‘revolution’ being the liberation of Egypt from a course heading towards fascism, the Egyptians have instead been ‘liberated’ from liberation itself. Morsi made mistakes, made compromises with Secularists and the Army in pursuit of a gradualist approach attempting to replicate the successful AKP of Turkey, but he turned out to be a weak leader in a heavily controlled Mubarak-era government. But despite this he, like Allende and Mosadeq, wanted true independence for his county, a ethical and moral foreign policy, and an end to the kind of tyranny that sees arbitrary arrests, torture, civilians killed and fear return to the streets. and the further delaying of a feared Islamic revival and united Muslim world. and a genuine call for Islamic aspirations in the middle east against autocratic rule, suppressed. Islamic inspired gradualist movements demoralised and have been prevented from rising in a key Muslim country in the middle east, and more importantly, the suppression of Islam from politics. and a ‘get out of jail free’ card for Mubarak. Iran loses an opportunity to find an ally in the region that could have co-operated with it to resist American Interests in the region. Gazan palestinians crippled now more than during the Mubarak era, Hamas, the arch-enemy of Israel (and the USA), now without any allies. Secularist minorities in Muslim world now inspired to public disobedience as a successful methology to impose their will, when democracy fails to delivery what they want (i.e. their way). The question we have to ask ourselves is, does this score-card look good to you? Is this the score-card we would accept for a truly independent and liberated Egypt? The Muslim Brotherhood is not completely devoid of blame in this turn of events. Their gradualist methodology for re-establishing Islam after colonialism has ended up with the public perception against them at an all time low, and pushed back the cause for the return of a holistic Islam, by decades – unless some new (peaceful) stratagem can be enacted. By entering into the Secular Democratic process, Morsi was always destined to fail. In fact, even if the MB presidential candidate was a combination of Malcom X, Nelson Mandela, Haroun al Rashid and Salahudeen Ayubi would it have not made a difference; the felool administration and army would have made it impossible to succeed regardless. What the MB should have done, is to have started a public and open campaign for the re-establishment of the Islamic state in Egypt, as soon as Mubarak was deposed (or preferably a long time before!). This could have been achieved by a public education initiative through their outlets, followed through by calls for a national debate on the nature of the country and an awareness campaign on the superior political solutions that Islam offers. The MB should also have drawn up a clear and detailed plan of what new institutions they needed to create to implement Islamic laws, policy and progressive solutions to modern problems (like the interest based finance system that has led to the levels of poverty we see in Egypt). If they were clear, open and resolute on this method, demanding power for Islam, not for pragmatic politics, the people would have seen their clear and open stance, and would have realised the need for it. It could be argued that if they held this stance, they wouldn’t have been able to be elected, and would have lost the opportunity for power. But how is that different to now? In fact, it is now many times more worse for them. Had a Secularist obtained power after Mubarak, and failed, people would turn more and more to a clear alternative. Now the people believe they have tried the Islamic alternative (again, despite not a single new Islamic law being implemented) and believe it has failed. The general masses in the Muslim world do not fully realise just how imprisoned they are still under the old guard of Egypt. So if they see their lives become worse under a leader, they will blame him, without realising that his is just a puppet, figurehead, and frontman, pushed into the spotlight from behind which, the real power brokers rule quietly behind the scenes. The Khilafah (Caliphate) still remains the only untried alternative in the 21st century, and when the Secular nations collapse, either as a result of the natural problems inherent in secularism (e.g. economic, social etc), or due to the work of successful Islamic groups rising to power in Muslim countries, we the Ummah have to be ready to set ourselves on the true course for real liberation – the re-establishment of Islam. As for the current situation in Egypt, and the claim that the coup saved Egypt from fascism, consider this: Hitler was a Secular Nationalist, an ex-military officer who made the State the ultimate idol for Germans, and justified everything he did as being ‘necessary in the national interest’, he never won an election on a slim margin, or was known to make compromises, or be a weak leader, or quietly tolerate minorities. Does his example really fit Morsi? Or does it fit the Secular Nationalist military leader emerging now, who under calls to ‘cleanse the streets’, is killing civilians belonging to dissident groups? The end of democracy in germany, came about not due to grudging election victories by a controversial group, but to rousing applause, celebrations and the popular belief in hope of a better future, under a new ‘saviour’. Abdullah al Andalusi.com grants permission for authors, readers and third parties to reproduce this article in full or part, as part of another publication or entity. Please tell me what you think the Muslim Brotherhood did, that was against Islam? If the Muslim Brotherhood has lots of weapons, please tell me how many Army soldiers and police they have killed in Cairo and Alexandria using these weapons? It is because I live outside Egypt, that I am free from the emotions and local propaganda, that allows me to look at the real facts and evidence. If you think outsiders cannot understand what is happening inside another country, please tell me how the USA have been so successful manipulating people in the Middle East? I think you should swallow your emotions, and think again. History will be on the side of muslim brotherhood and morsi. This is a battle of power and authority; so if you want to support any of the sides, do not bring Islam in the discussion. The article is not written to support the Muslim Brotherhood, only to report the facts, and show that Egypt has always been firmly under Secular control since the fall of Mubarak. One clear point emerging from the article is that the Islamic alternative hasn’t actually been tried. The points you made are very strong and would convince many, whether or not they believed in the “Islamic Solution” or even Islam. Very nice and lengthy article. May I also add one more reason any Islamist would be rejected by many in the world political powers. In my opinion: The world is really controlled by the Zionists and Freemasons. And even though they are adversaries, each looking to control the world alone, their paths are joined by common interests, for now at least. The Zioinsts controll Money flow and the Banking institutions, not just to the common people, but nations have to use the banking system even buy essential commodities, such as Wheat, Corn, Rice, Sugar, Oil (consumer, and Pertoleum) which are sold via the commodities index. While the Freemasons control the flow of these commodities, making every nation a slave to these essentials in life. Excellent article in need of the time, I too knew who the plotters from behind for a long time I anticipated & predicted in my countries local medias from the time MB took over, as I have being following Middle East politics from 1967 Israeli invasion, I never expected the Egyptians to be so ignorant & stupid not understand who the beneficiary & the real backers behind the coup, it looks most of them do not know the rule & law of Islam & its benefit. Bro Abdullhadi, can you explain why you mentioned Iran is on lose side when this is happening to Mursi? May Allah bless the hand that write this.It is insightful and informative.Can i have the permission of the author to reproduce it in a magazine i edit here in Nigeria. Feel free to use the article, brother. would you allow me to publish your article on my facebook page? on the other hand, it’d be a pleasure to present my critique, as a consequence. feel free to put it up on your page, provided you quote it all, and put a link to this page, so people can seethe ensuing debate Inshallah. I look forward to your criticism of how Morsi was a bad and ineffective leader – which I already concede in my post. I also criticise the Muslim Brotherhood for their gradualist policies, and lack of understanding which led them to foolishly enter a political system governed and controlled by the felool. But if you believe you have more points to add, please do so, but I require strong evidence if you wish to re-assert the ridiculous conspiracy theories and stories I’ve been hearing on Egyptian media (because as we all know, Egyptian media and the objective journalism, are two different things). This blog is not under the control of the Egyptian Army or Felool, Gamal. Here,people can practice unrestricted intellectual discourse and speech. If you want to go to a place that restricts it, you can go to Secular Egypt, and live amongst like minded devotees to the cult of Egyptian nationalism. Masha Allah. Fantastic, well-written article. Keep up the good work brother. ….. , demanding power for Islam, not for pragmatic politics,…. Thank you for your response, please allow me to clarify for you and respond to your contentions. I think however, you are confused as to what Islam is, and what it does. Islam is a complete way of life, governing all facets of human existence. Consequently, if you claim to be a Muslim, I fail to see why a state based upon Islam would be problematic for you. If you claim that Islam only offers principles, then you would still have no problem with a state based upon those principles, being called ‘Islamic’. The Arabic word, Manhaj is used. So In this verse of Quran, God is telling us that he not only gives us a law, but a way of implementing that law. So we should refer to Islam exclusively for that guidance. As for your comment on Islam merely offering principles. Tell me, how does that guide people, and how is that different to all cultures that came before? Surely all cultures treasured ‘justice’, ‘compassion’, ‘mercy’ and ‘equality’? Of course, we know that different cultures (and ideologies) understand these principles in different ways. A Communist, Liberal, fascist, Christian theocrat and Muslim all agree on the need for equality, justice and rights – but they DO NOT AGREE AS TO WHAT THOSE TERMS MEANS. So we need to refer to the Quran and Sunnah, to explain to us what justice means. And if you think justice is so self-evident, then please go on Amazon and search the term ‘justice’ to se how many hundreds of mutually conflicting philosophical discourses have been written on justice. For example, is it justice to give everyone the same share of resources, or justice to give everyone what they worked for (severely disabled and sick people not withstanding)? Should everyone have an equal voice to speak in government on a subject, or only those qualified on that subject? Things aren’t so clear cut. I suggest you study political philosophy, and classical Islamic treatises on the subject, with a healthy dose of books on the method of the Prophet (saaw) to rule. You claim that the interest based finance system is NOT the reason there is poverty in Egypt, yet you fail to understand that poverty exists every in the capitalist world, and interest in the primary factor for concentration of wealth, with the overall net flow of money going from the poor (who pay back loans with interest), to the rich (the banks etc who lend money that they PRINT(!) in return for a higher return). Notice also how Allah (swt) expects the Islamic ruler to forbid evil and commanding the good in his capacity as a ruler. Please tell me, what that means, if it is other than outlawing the public evils, and enforcing the public duties? You say that our problems come from people on an individual and collective basis not being connected to the teachings of the Quran – no, this is not the case, people can easily be connected to the teachings of the Quran, by picking up the Quran, or researching online, reading scholarship etc etc. However, the REAL problem is that people are not IMPLEMENTING the teachings of the Quran and Sunnah. You say that if we were to apply the golden rule of treat as you would like to be treated then everything else is secondary. Oh really? Then please answer me this. How would the golden rule help, when people have different ideas of how they want to be treated? What if people wanted to be able to walk down the street, and not be sexually harassed by others who expose their bodies in public, who wear tight fashions, and revealing clothing. Say these people who wanted to walk outside in a sexually neutral environment were perfectly happy with others restricting them too for the same reasons, is that something we could implement? Say I don’t want to see alcohol on the streets, as I find it offensive, and dangerous (due to drunk people), then you would agree with me that we should make a law that would restrict them, and myself, from drinking alcohol. If this is what you mean by treating others as you would want them to treat you, then I fully support this. However, I would not support people insulting me, or harassing me, because they don’t mind if people do the same back to them. For example, would you support perverts touching up women (as they did in Tahrir square), if they were perfectly happy for the women to touch them up in return? No. So the golden rule offers us no help – otherwise Anarchies would be feasible, and government wouldn’t be necessary. This is why society must be based upon ONE comprehensive and detailed system and culture, that we can all agree to, with the same set of haram and halal, that we can refer to as a common criteria to make law, and maintain the public good. You say that Islam is there to guide the individual to traverse the test of this world, and the sins/errors of the collective will not be the basis on which we are judged but only for our own individual actions. But this is false, for the Quran mentions people who are additionally punished merely for influencing the actions of others purely by their bad example being a cause for social problems, and other people will be judged amongst their NATIONS as a whole (e.g. see people of Far’un – I’m referring to the ancient ones, not the modern ones 😉 ). And some people will be judged for not working to forbid evil and command/order the good upon society. If you think the afterlife is individualistic, think again. You said you have a hard time accepting the need for an Islamic state as the times we are living in are different from the time of the prophet? So what? Are you saying that Islam has an expiry date? Or that human nature has changed since the Prophets time? I think not. Islam was no stranger to mass urbanisation, with massive cities into one million inhabitants in Baghdad, Cordoba etc. There was also hospitals taking in thousands of patients back them, and libraries with hundreds of thousands of books. Nothing has changed, except technology, which has made things easier, and consequently, Islam should be now much more easier to implement than 1000 years ago. The Khilafah (Caliphate) still remains the only untried alternative in the 21st century, and we the Ummah have to be ready to set ourselves on the true course for real liberation – the re-establishment of Islam.